To illustrate the history and heritage of Axminster through the ages. To facilitate a valuable educational resource for schools, colleges and scholars of all ages with the provision of both lecture and study facilities. Therefore Axminster Heritage Limited acquired the old Whitty carpet factory – a Grade II listed building located opposite the Minster in the heart of the market town of Axminster. Axminster Museum has merged with Axminster Heritage in 2014 to form a single registered charity. In 2015 the first stage of the major renovation work was completed and the collection from the old museum packed up and transferred to Thomas Whitty House. A temporary display has been set up and the Heritage Centre is now open to the public. 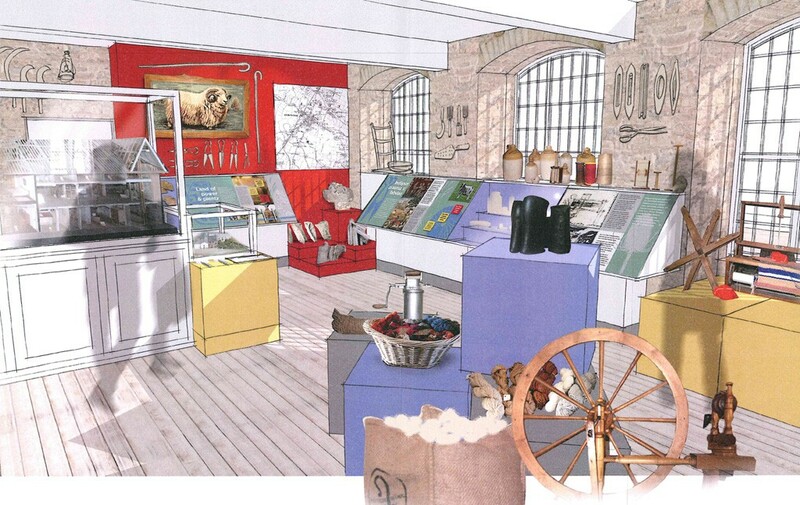 A major Heritage Lottery grant application has been submitted to complete the renovation of the Drill Hall (installing a mezzanine) and Whitty’s original Dye House and garden, together with the setting up of an interactive display that will tell the story of Axminster through the ages, with a special focus on the world famous Axminster carpets. New toilet facilities will be constructed and a small shop and café included. Grant applications will be made in the coming months to charitable trusts and foundations and donations sought to provide the necessary matched funding.